This line stood in stark contrast to the smorgasbord of socialist electoral candidates, progressive unionists, and leaders of identity reform groups that made up the speakers’ platform. Among the hundreds who got our paper, a number commented on the difference. Some even approached our table to proudly state they were communists. A group of young people whose parents were born in Mexico were particularly interested in our vision of a society that didn’t rest on the exchange of money. Socialist candidates for mayor and city council presented elaborate platforms that rested on getting more money for reforms. The Seattle Times complained that all the mayoral candidates were trying to “out-progressive each other” to play to the May Day crowd. None of them got at the root of the problem. None of them was prepared to tear up capitalist exploitation by the roots with communist revolution and communist solutions. For instance, some socialist groups called for a shorter work week without loss in pay and others an even shorter workweek. Along with that they issued vague calls to increase the taxes on the rich. Ending exploitation will remain a pipe-dream if production is organized for profits and workers are wage slaves. In communism, work will be for our collective good and everyone will get what they need. Taxes and wages will disappear, replaced by distribution according to need. Socialists, like every other reformer of capitalism, called for more money for jobs and education, not war. Good luck with that! Once again, production for profit guarantees the imperialists will fight each other to secure raw materials, markets and cheap labor. In communism, the only wars we fight will be against the capitalists. Eventually we will defeat them. Mass armed conflict will end as we mobilize millions to provide for the worlds’ workers. We will eliminate exploitive jobs, replacing them with collective work for the good of our class. Capitalist education will end. Communist education will be collective. Divisive tests and degrees will be replaced by collective evaluation involving real work. We’ll be motivated by the needs of the working class instead of the prospect of high-paying careers. The battle between communist educational content and capitalist content was evident at the rally. 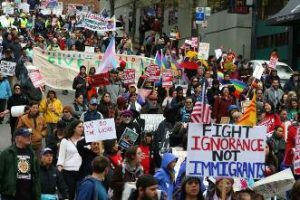 The reform history of May Day was recounted by the Seattle Times and every socialist paper circulated. In addition, every one of these papers and a socialist mayoral candidate portrayed the 1919 Seattle general strike as a great militant reform battle (see box). 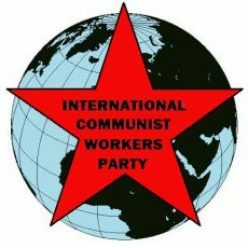 It was left up to the International Communist Workers’ Party (ICWP) to reveal the revolutionary communist inspiration of May Day and the general strike. Many of its leaders, including Anna Louise Strong, would later join the newly-formed communist party. We could have made the distinction even clearer with a leaflet that spelled out the contradiction between our communist vision and the plans of the socialists. Next year we will be ready! In fact, why wait for next year! We will be discussing this issue in a new Red Flag collective of Boeing workers, HS students, past and current school workers. One of our goals is to write an article for every issue of the paper that illustrates our communist vision in articles that relate to youth, the future of our party. See you in Red Flag! At the Seattle May Day rally, the socialist candidate for mayor gave a poetic speech that portrayed today’s progressive movement (and presumably her election campaign) as the rightful heir to the 1919 Seattle general strike. Although these strikers did not get the wages they asked for, it showed the power of the masses. What she failed to mention was how it was all inspired by the communist-led revolution in Russia, not by the wage demands. Anna Louise Strong was another a poetic writer and communist whose political activism began with the 1919 general strike. She explained how the “signals from Moscow” changed the world and Seattle along with it. Strong wrote for two papers, the Seattle Daily Call and the Union Record, in the months leading up to the strike. Reactionary union leaders complained that these publications spent more time on “those Bolsheviks” than on the “legitimate problems” of carpenters and painters. 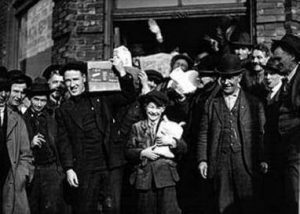 Those men of the shipyards refused to load guns being shipped to reactionary forces in Russia, sparking strikes up and down the West Coast in support of the new revolution. The Longshoremen had just got their first contract. They broke it to support the Bolsheviks. It was many years until they got a new contract, but they thought it was worth it. Then they started the five-day general strike. Since then, we have learned from the Russian revolution and the Chinese revolution that followed that even a revolution that establishes socialism cannot succeed. Nothing less that communism will do. All this was ignored by the socialist candidate in favor of reform. Capitalist evils, like racism, sexism and xenophobia, were decried, but communist solutions were nowhere to be found. Reducing people to their cash worth was denounced, but never was the possibility of a communist society without money promoted. Elections of socialists was pushed as the way forward, not the communist revolution we need.